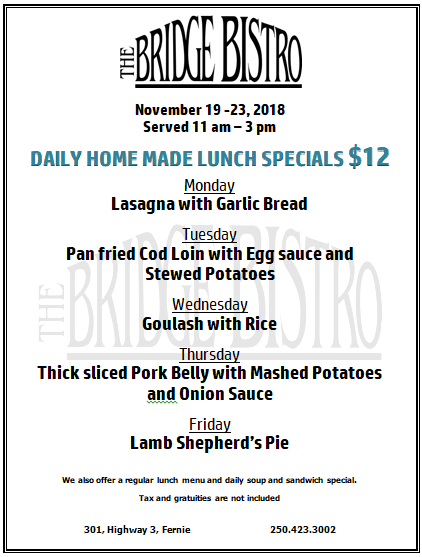 $12 Lunch Specials November 19 – 23. Looks like the Swedish Chef got Sweden on his mind! $12 Lunch specials this week. On Tuesday and Thursday our kitchen team is plating up some typical Swedish food. Come and try it out! !In Swedish we would have said for Tuesdays meal -“Torsk med ägg sås och stuvad potatis” , and for Thursday-“Fläsk med mosad potatis och lök sås”..Yummy, can’t wait!